Posted by Benjamin Dell on Oct. 8, 2015 . Let’s get one thing out of the way before we start. Working out your business's pricing model is a tough job! It’s rarely obvious what you should do, customers will always ‘say’ that they want it cheaper and the prices you set today, will most likely change or need to change sooner than you think. In this article I’ll be talking about how we arrived at, and implemented, a pricing strategy for our then new business (Updatey), and how that strategy and our thinking, evolved over time. This is probably the toughest part of the whole process. As humans we like to work from ‘knowns’ rather than ‘unknowns’; yet when your business is so new that you haven't even launched yet, pretty much everything is unknown (cue standard mention of Eric Ries and the Lean Startup movement). But that’s kind of the point. As business owners, we known close to nothing about our markets ability to absorb the amounts we’re thinking of charging for our product. This quite simply, leaves us in a position where experimentation (albeit ‘informed’ experimentation) is the only real strategy we have to play with. Take the facts on-board and then make a decision! Go with your gut if needed, and just test something! You can always change it later on. In fact, that second point is such an important one, I might just use it as a sub-title and talk about it in a bit more detail. Go with your gut if needed, and just test something! You can always change it later on. See, I told you I would! As entrepreneurs we’re often told conflicting things around making decisions based on gut feeling or instincts. The way I like to think about this problem is simple. As long as there is a specific outcome defined, with a specific deadline; then take the time to conduct research, speak to customers and plan as much as you can. BUT, once you arrive at, or near the deadline, a decision should then be made. At this point, you have to have confidence in your own instincts. Ideally they will be based on a foundation of knowledge collected through the means I just described, but irrespective of how much of a knowledge foundation you have, the point will ultimately arrive where you need to go out on a limb and make a decision. Forgetting to set a deadline will most likely leave you in a perpetual point of weakness, where the decision feels just one more marketing survey or customer interview away from clarity. If you see yourself in this situation, stop! Take stock and set that deadline! It’s a liberating thing and you should start to see things fall into place. Critical, pragmatic thinking will take command and you’ll soon be moving the business forwards! In the case of Updatey, I simply set myself a deadline for making a decision about pricing. Leading up to this point I made sure to speak to members of my team, advisors and a bunch of potential customers. Once the deadline arrived though, I forced myself to make a decision and onto the next job at hand I went. That first decision around pricing, was to offer a free plan along with a number of fairly low priced paid plans. We were, for all intents and purposes, nervous about charging too much. We didn't want to scare potential customers away. This is a common mindset amongst entrepreneurs, but one that does improve with time - assuming that within that time you train your mind and team to launch often (in our case, we intentionally planned to launch two products to keep our minds lean - Onboard Tips and missinglettr were built in just 1 week. You can read more about our reasoning for containing it to a week here). At this point we had already attracted over a 1,000 beta signups, simply through Beta List - this was pre Product Hunt days people! Wow, now that ages it! Consequently, we felt pretty buoyant and confident that the demand was there. Little did we know that beta signups were vastly different from fully fledged customers. When signing up for a beta, you rarely look at pricing (often cases pricing isn't even published at that time) and from a product offering standpoint, you’re sold more on the promise and the dream, than you are on the actual reality of what the product does on a feature by feature level. That being said, we were indeed happy with 1,000 ‘interested’ users. We wanted more!! The free plan was designed to attract a ground-swell of new users. We wanted large quantities of eyeballs, rather than fewer, but paying customers. Why we then switched the free plan off! Within 6 months or so, we realised that our product needed a fairly major pivot. At the time, we were essentially a glorified gantt chart / timeline visualisation. Using Updatey alongside another project management tool was pretty much mandatory since we only really let our users create basic checklists. 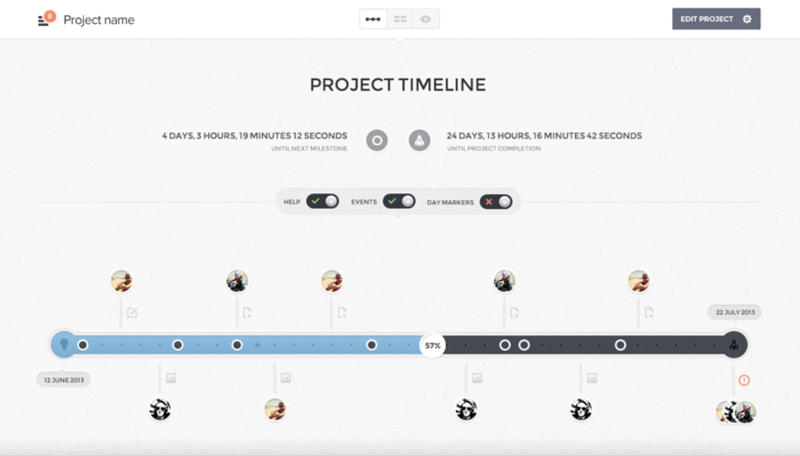 The pivot would see us essentially evolve Updatey into a fully fledged project management tool. This new direction though, brought with it a sense of doubt and trepidation around how valuable our product truly was and whether there was enough of a demand for it. Gut instinct, at the time, told me that our free users, as nice as they were, were clouding our judgment and our ability to understand real demand as well as any pain-points of the product. The free plan was removed and since then, we saw a steady but slow rise in user sign-ups. We were able to do a greater amount of user outreach though and generally speaking the quality of our interactions were higher since we were talking to paying customers. All in all, it felt right to have removed the free plan. We were focused on getting the product market fit right, not on scaling the business and its underlying user-base… not yet anyway! To stay? I don’t know. But what I do know, is that by taking into account the position the business is in, it’s now right again to bring the free plan back. Recently, we pivoted once more. V3 of Updatey was launched in early September 2015. It brought with it a new design, a much cleaner and far simpler interface and a renewed focus. Updatey finally feels like it has two legs to stand on (in an already massively overcrowded marketplace, I hasten to add). It has taken us close to 3 years, but v3 now represents to me and my team, the PM tool that we always aimed to deliver. One that sits comfortably in the marketplace, but one that also offers something that little bit different to its competitors. For these reasons, we’re now at a point where scaling the business and getting as many eyeballs looking at the product, is of paramount importance. You might say that we’ve come full-circle, by ending up with a free plan again. And you’d be right. I’m comfortable with the idea that ideas ebb and flow, features, plans or strategies can be put on hold or cancelled altogether and then potentially brought back in at a later date. That’s fine, neigh - I’d argue that it’s healthy for a business to be doing that. If you haven’t killed off a feature, tweaked your site’s copy, or re-evaluated your pricing model recently, then you’re sitting too still. Your business needs that level of fun and experimentation from you, coupled with a fearless attitude towards change, or at-least exploring whether change is needed. So go forth and challenge yourself and your team! Engage with potential / actual customers through surveys, interviews and such like, but do so with a clear objective in mind AND a deadline. When the deadline is reached, take stock of the knowledge you’ve gained and use that as a basis for your decision. Critically though, DO make a decision and DON'T be afraid to revert to your gut instinct, if needed. We are familiar with experimenting with site copy and the emails that we send out. Too few of us are comfortable applying the same sense of play and experimentation with our pricing models. There’s absolutely nothing wrong with trying out new pricing ideas over a period of time. Though do be careful about the frequency at which you do this. I’d love to hear about any changes you’ve made as a result of challenging your (or your markets) preconceptions. Pop them in a comment below - I check and reply to all comments.